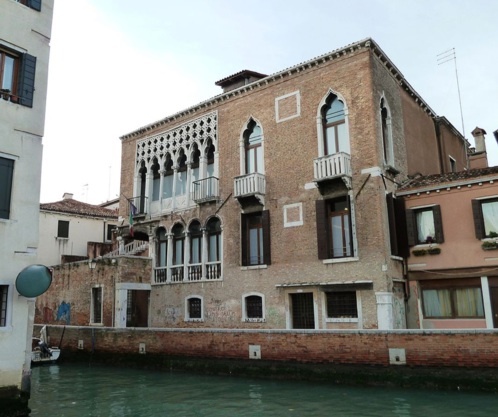 This part of Dorsoduro is one of the rattiest, least prettified corners of Venice, long a neighbourhood of fishermen, dock workers and sailors, it also contains one old palace, the Gothic Palazzo Ariani, with a lovely six-light window facing the intersection of Rio di San Sebastiano. Today it houses the Istituto Tecnico Vendramin Corner. In the derelict campo behind Angelo Raffaele, just opposite there is a pretty Istrian stone well-head, one of the few wells with a story: it was dug with funds left in Marco Ariani’s will; he died in the great plague of 1348, convinced that it was caused by contaminated water. Also worth seeking out in the vicinity (if you've made it out to this distant outpost) are the Palazzo Zenobio and the church of San Sebastiano.